Wherever there is a modern infrastructure project underway, history starts to creep up. As workers were constructing a new trail in the small border town of Dawson City, one of them stumbled upon a sack of 19th-century coins buried into the ground. According to archeologists, their origin was traced back to the Klondike Gold Rush, a period between 1896-1899 when many prospectors ventured there once Yukon’s gold mines were discovered. Keep reading to know more about these and many other coins of Canada. Coins are not among the most common discoveries at archeological sites. Since they were used as a method of payment, they were often kept or spent, and this discovery definitely finds its place among the more interesting and significant Canadian coins. Although their historical significance is more than notable, they are unfortunately not worth that much nowadays. Once adjusted for inflation, their face value comes out to around $240. To whom did they belong? That is probably the first question one would ask. Christian Thomas, special projects archeologist from the government-linked their potential owner to the area of city once called Menzies Addition. It had a booming and vibrant downtown filled with miners, labourers, and adventurers of all sorts. The population of the city often changed, depending on how fortunate the mining season was. It was not uncommon for miners to leave and never return after a bad streak. Maybe that was the story behind the owner of these coins as well. Who gets to keep them? The coins were officially discovered by worker Bill McLane and his crew. But Bill said he had no intention of keeping them; he was plenty satisfied with mystery behind them. He immediately notified the authorities and the coins were soon transferred to Dawson City’s safe. They will remain there until their eventual transfer to the city’s museum. These Canadian coins are among the latest discoveries, but various enthusiasts and archeologists have come across some similarly significant discoveries across the North American continent in the past. New Orleans Bank Find (1982). The oldest coin known today was found in Efesos, an ancient Hellenic city which served as a merchant hub back in the day. Scholars came to the conclusion that this coin is at least 2,700 years old. It was made from an alloy called electrum, and it had a rather primitive look as its creators lacked advanced manufacturing tools. If you’re a history buff and numismatist at the same time and enjoy learning new things related to historical coins, there is no better place for you than Colonial Acres Coins. Having been in business for nearly 30 years, Colonial Acres is home to an expert team of professional numismatists that boast vast knowledge about some of the rarest and most intriguing coin pieces in existence today, many of which happen to be coins of Canada. 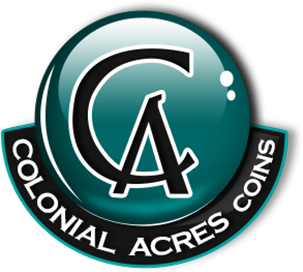 At the same time, Colonial Acres is also a place where you’ll be able to not only invest in coins to add to your collection but also sell off many of your pieces at top dollar prices. Simply put, Colonial Acres is your go-to resource for rare and interesting coin pieces, sourcing new specimens to add to your collection and also a reliable place to trade in some of your pieces at honest and fair prices. Head down to Colonial Acres today and enrich both your coin collection and numismatics knowledge. Copyright © 2013 Colonial Acres Coins. All Rights Reserved. Built with Volusion.